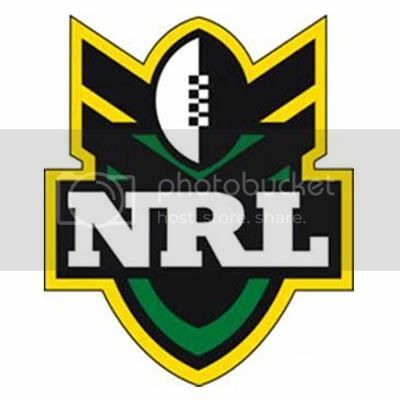 [Rugby] Rugby League & Rugby Union discussions. Thread: Rugby League & Rugby Union discussions. Rugby League & Rugby Union discussions. The 2010 season is upon us finally. After missing the finals series last season because I was in Europe it has made me even more eager for this season to commence. Here are the latest odds. Souths are far too short so are Penrith. Manly and Nth Qld are good value as are Brisbane. I just hope the Panthers can fulfill some potential they have because since winning the GF in 2003 they have under-acheived. I think they can win. They have a young team who have had some experience and barring injuries they can cause upsets. Bring it on - I'm pumped. Who do you think will win and why? Last edited by Shrek; 09-10-2010 at 10:36 AM. cant wait! been stinging for it. My tip is for St George v Bulldogs GF. I wonder how much that is paying? Last edited by Shrek; 13-03-2010 at 09:37 PM. Good to see the Panthers have a first up win. Only the 3rd time in 11 years they have won their first round match. I remember a few years a go when Petero signed with the Panthers the Broncs smashed em by 30-40 points first round . Yep, at Suncorp Stadium 42-10 I think the score was. I was there on holidays so I went to the match. They were woeful. Hehe , i was there too. Well you never know, Panthers have some good young players . This might be their year . Lightening Jennings and so on . He's looking very fit . Never forget the Scotty Sattler tackle on Todd Byrne GF 2003. Last edited by broncs; 13-03-2010 at 09:53 PM. Yep, I trained him in my garage. Nah just kidding, he must have hit some good supplements in the off-season. I wonder why he didn't play tonight? Last edited by broncs; 13-03-2010 at 10:00 PM. He will struggle to make the run on side anyway at Fullback if Coote plays like he did tonight. All times are GMT +11. The time now is 10:01 AM.